The building on the left, known as the tipple, is long gone from the landscape, but it is certainly the most iconic structure of Coalmont's history. Although the town did flourish during the 20's and 30's, even then it was hanging on by a thread, because the tipple was the end of a three mile long tramway which is what brought the coal to the railway here. 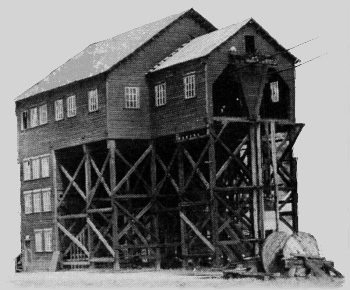 Without that unique structure, Coalmont would not be here now. There are other interesting buildings from the first years. Some are still with us. 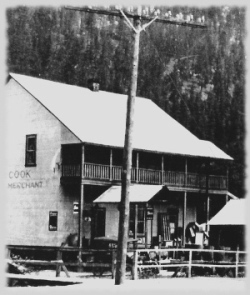 The two Liveries, Cooke's, the General store, and the Hotel, were built right away. However, because of the intervening First World War, not much progress was made by 1918, but after that Coalmont prospered for the next twenty years. Sixty-seven thousand Canadians died under this flag. 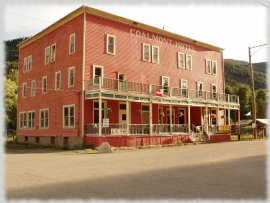 Canada became a nation, and Coalmont became a town. 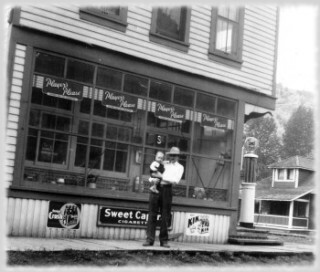 Luckily we still have the General Store on Front Street, but Cook's store, which was kitty-corner from the hotel, is long gone. 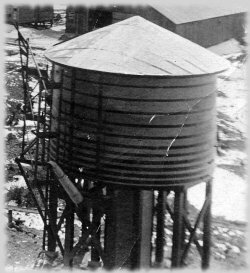 The railway water tower by the station is also just a memory. The first bridge over the Tulameen river was a bit flimsy, and it was replaced by the time Cook's got a deliver truck. There probably aren't any people still around who have been on that bridge, but there are many who went to this little school house, although it too is gone. The children now take the bus to schools in Princeton. The power plant stopped providing electricty to the area when the mine closed in 1940. 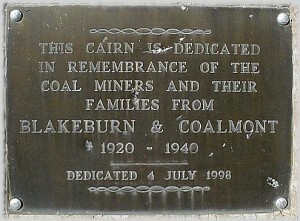 However, the first serious blow to the community occurred in 1930 when there was an explosion at the mine which killed 45 miners. They were mostly buried in Princeton, but many oldtimers are at the Granite Creek cemetery. 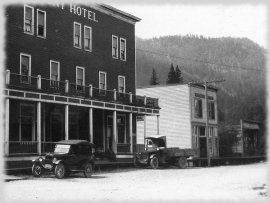 The Royal Bank and drug store are gone, but the now famous Coalmont Hotel lives on. 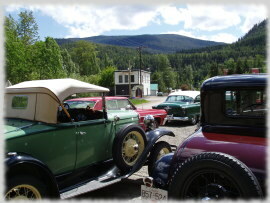 The old General Store also makes a good backdrop for visiting vintage cars. 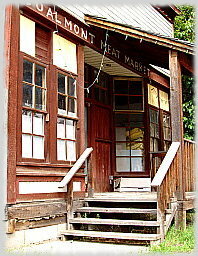 The store is now a private residence, and the Meat Market, which was originally the liquor store, hasn't been open for decades. 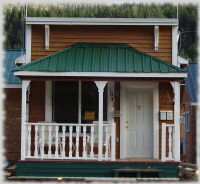 That little Post office has moved a couple of blocks and it is also a private residence now. 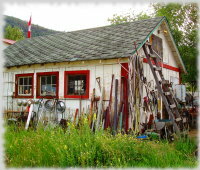 Though it came from further away, the heritage Highways shed is looking better every year. 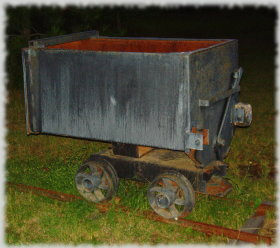 There are a few coal cars around from the mine up the mountain at Blakeburn, but there is only one single building left of that town. 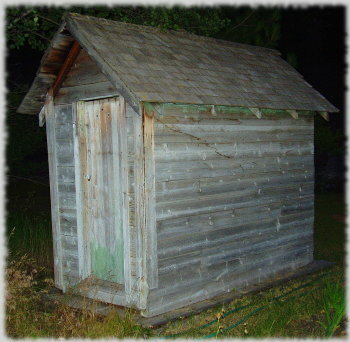 That is the little one pictured here which we now have in Coalmont. 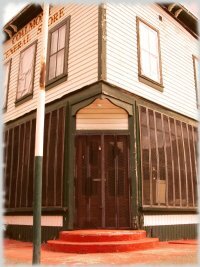 Luckily, our town has survived, and so have a few of our first buildings like the ones shown above and this livery on Front Street. 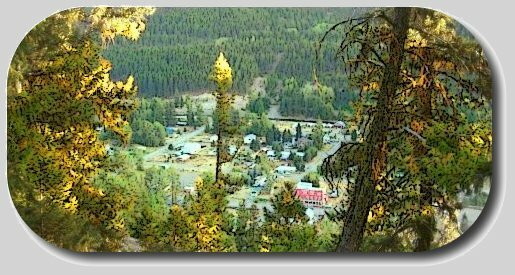 Coalmont nestled in the Tulameen valley. The little town that almost didn't make it. We started with a hundred people and we've ended up with the same. After a hundred years, it is clear that Coalmont is the little town that could. Happy centennial Coalmont!